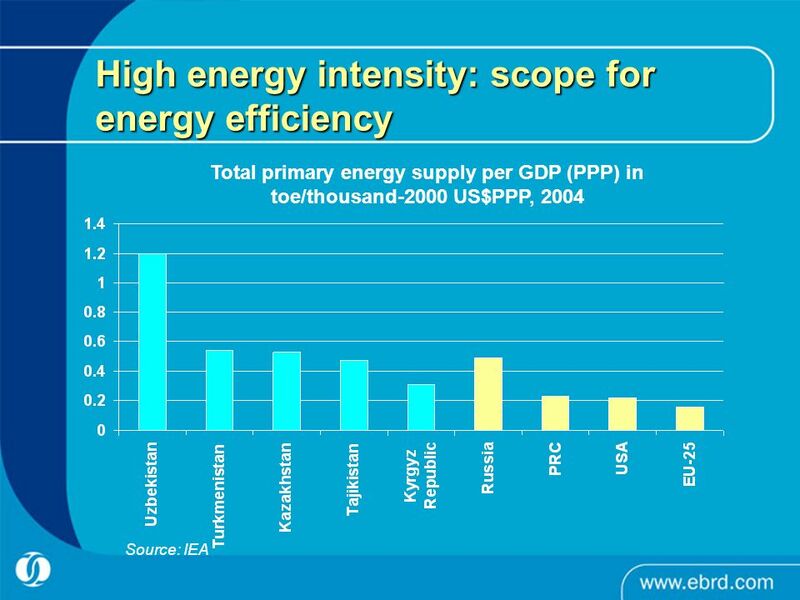 Towards sustainable energy in CA: Scope for regional cooperation? 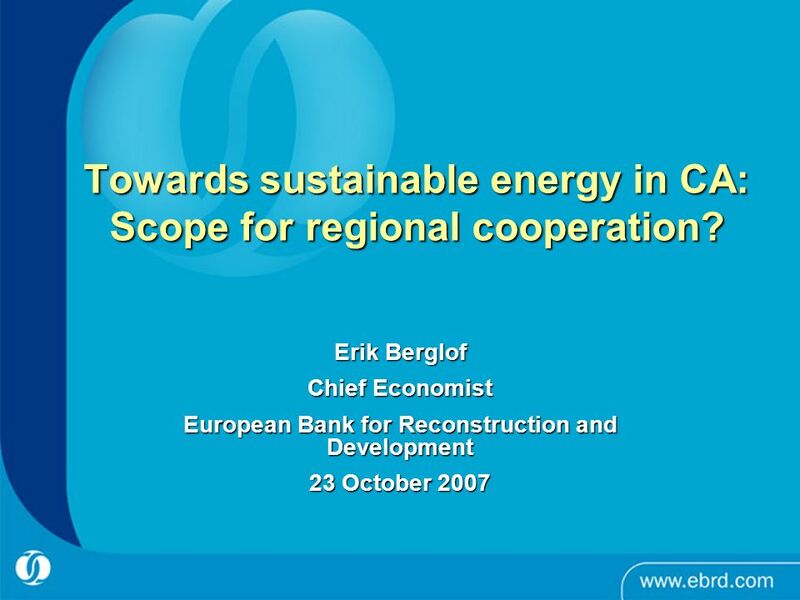 Erik Berglof Chief Economist European Bank for Reconstruction and Development 23 October. 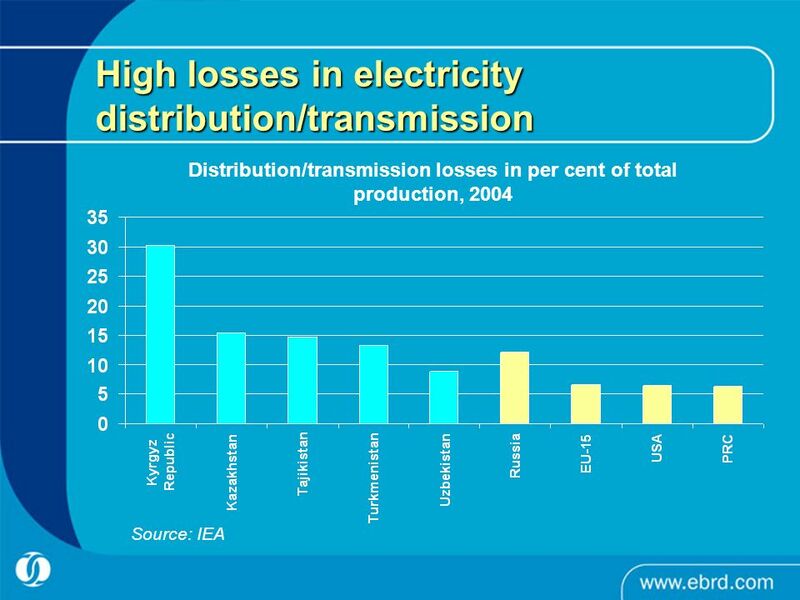 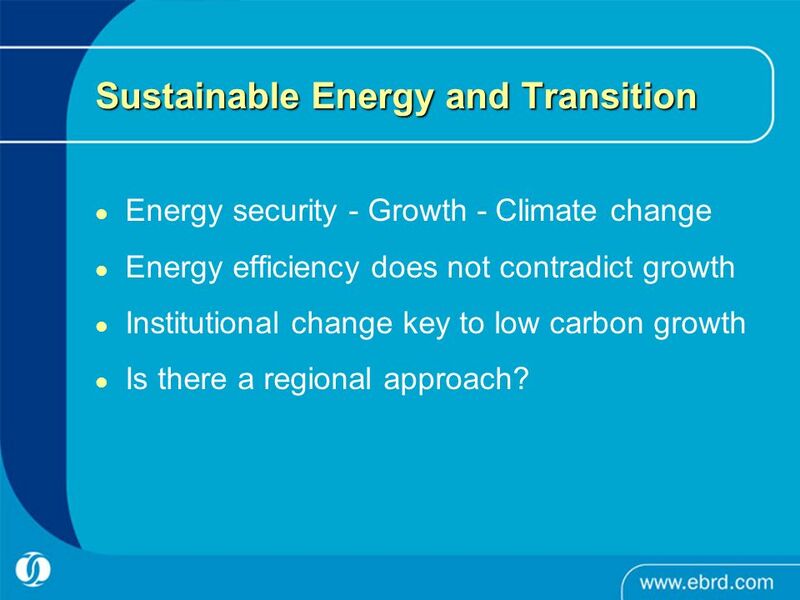 2 Sustainable Energy and Transition Energy security - Growth - Climate change Energy efficiency does not contradict growth Institutional change key to low carbon growth Is there a regional approach? 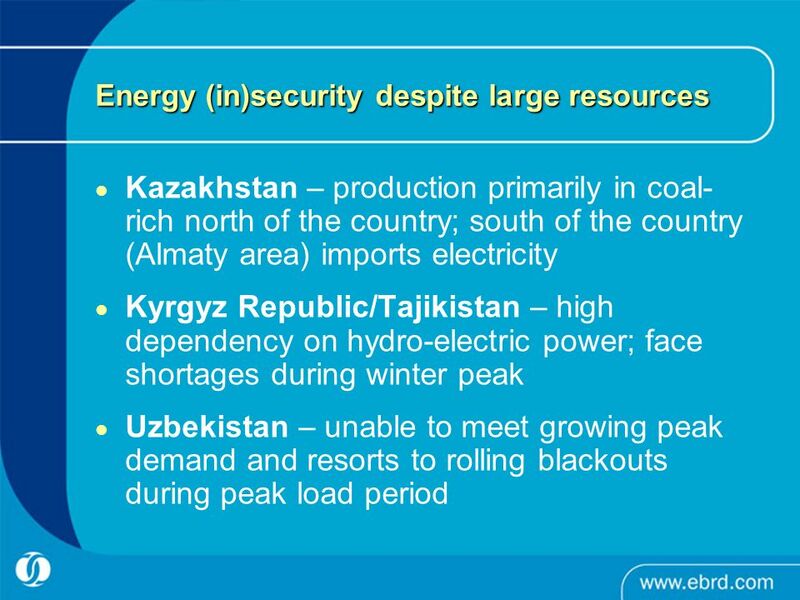 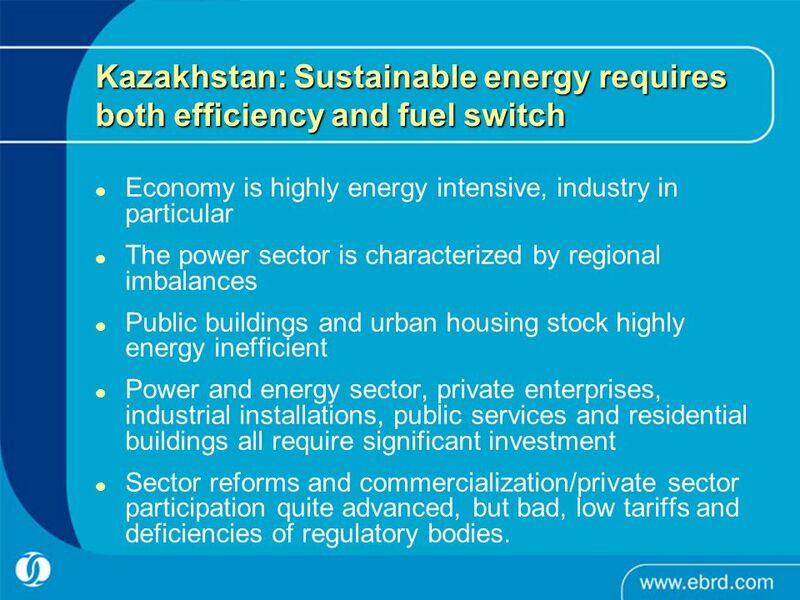 7 Kazakhstan: Sustainable energy requires both efficiency and fuel switch Economy is highly energy intensive, industry in particular The power sector is characterized by regional imbalances Public buildings and urban housing stock highly energy inefficient Power and energy sector, private enterprises, industrial installations, public services and residential buildings all require significant investment Sector reforms and commercialization/private sector participation quite advanced, but bad, low tariffs and deficiencies of regulatory bodies. 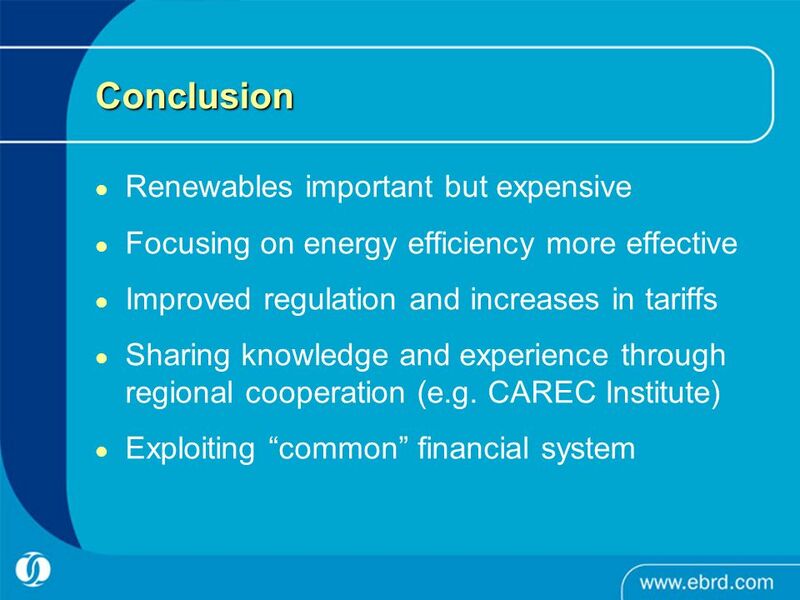 Download ppt "Towards sustainable energy in CA: Scope for regional cooperation? 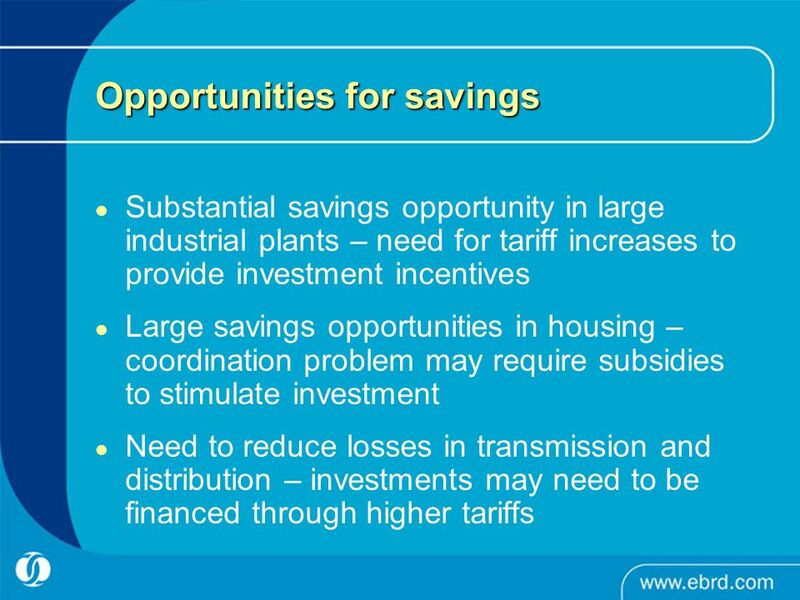 Erik Berglof Chief Economist European Bank for Reconstruction and Development 23 October." 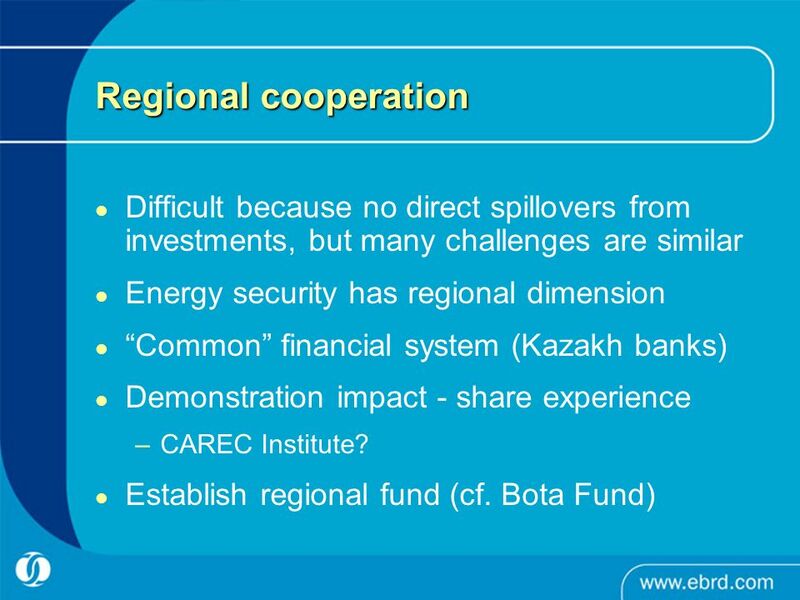 Baltic Energy Strategy Einari Kisel Director of Energy Department. 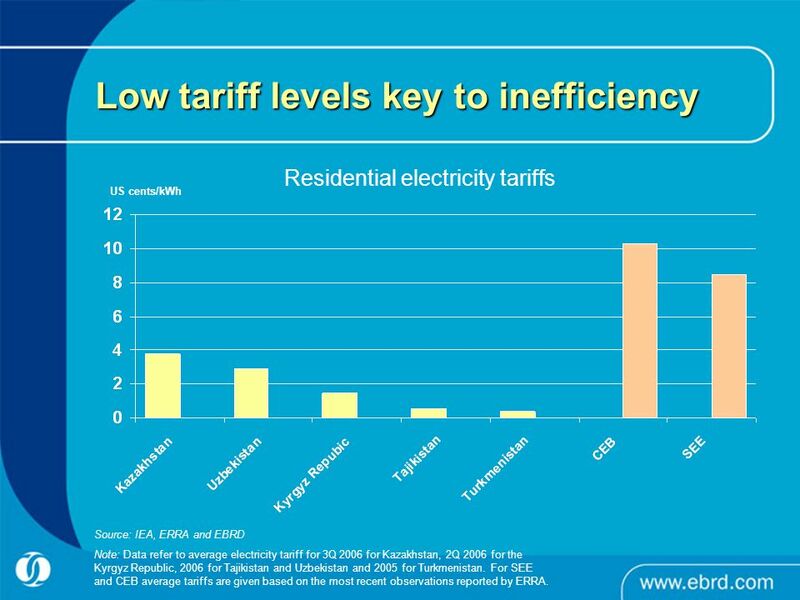 Slide 1 of 11 Moving Towards Sustainable Power: Nudging Users and Suppliers with Policies, Technologies & Tariffs Ajay Mathur Bureau of Energy Efficiency. 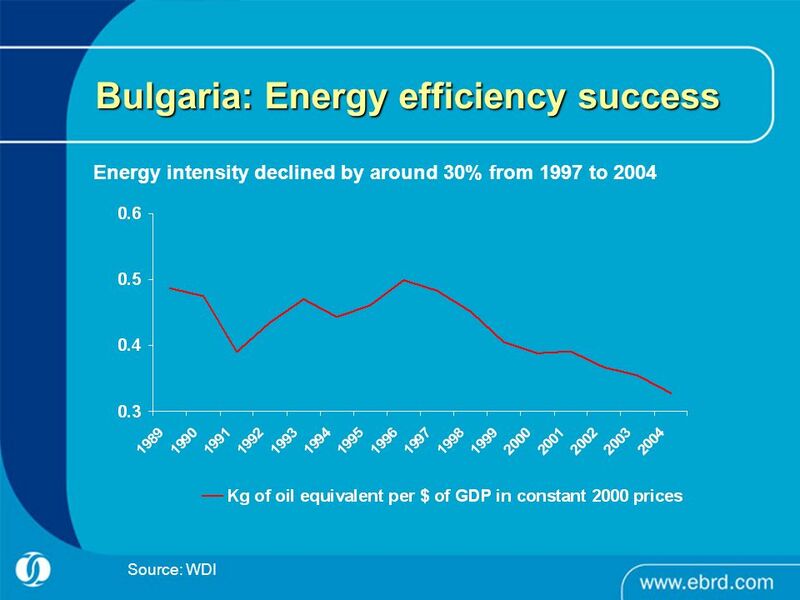 Energy crisis and climate change; a challenge for policy makers and economy in Southeast Europe International conference; Southeast Europe Association. 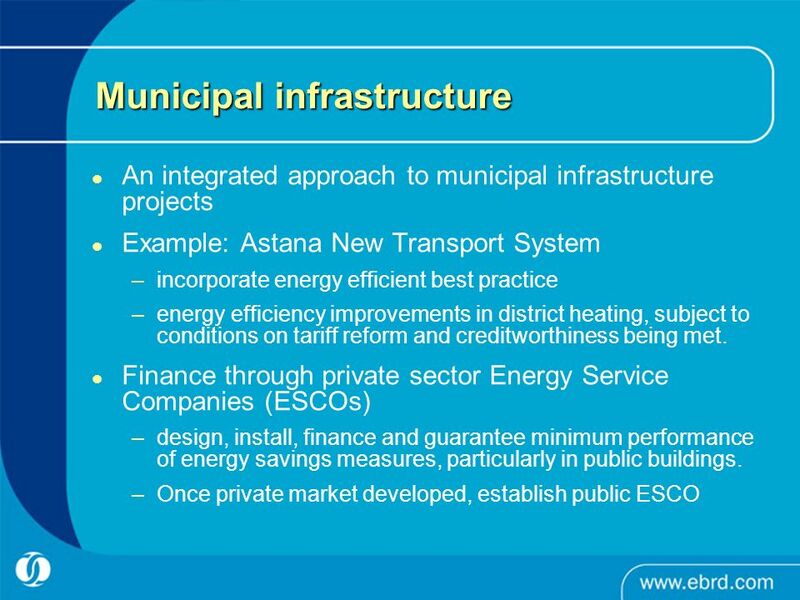 Previous Efforts in the Electricity Sector to Improve Energy Efficiency On Supply Side  Maximum use of natural gas. 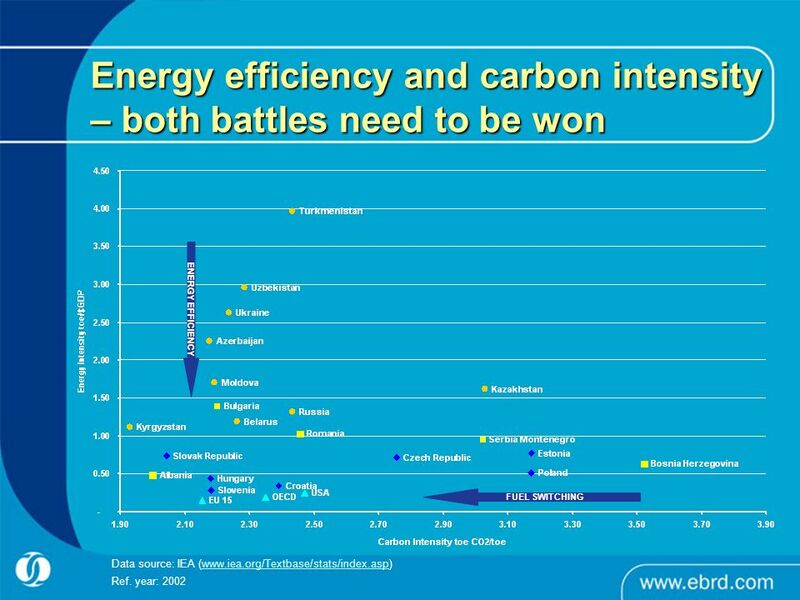  Increase of generation efficiency. 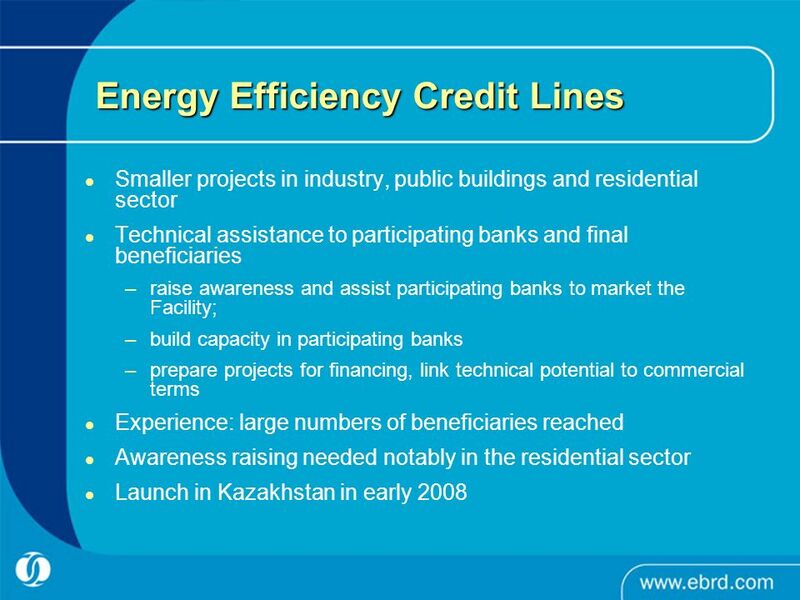 Promoting Energy Efficiency In Buildings in Developing countries. 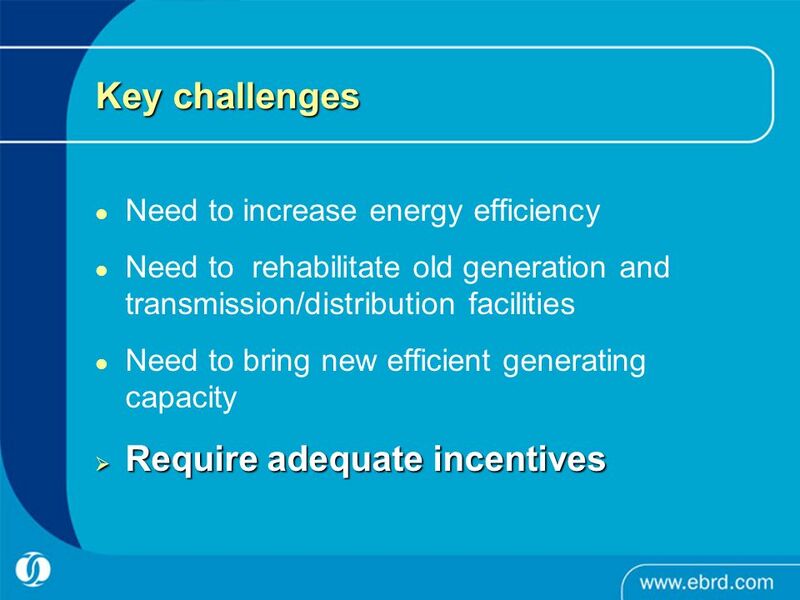 SUSTAINABLE ENERGY REGULATION AND POLICY-MAKING FOR AFRICA Module 14 Energy Efficiency Module 14: DEMAND-SIDE MANAGEMENT. 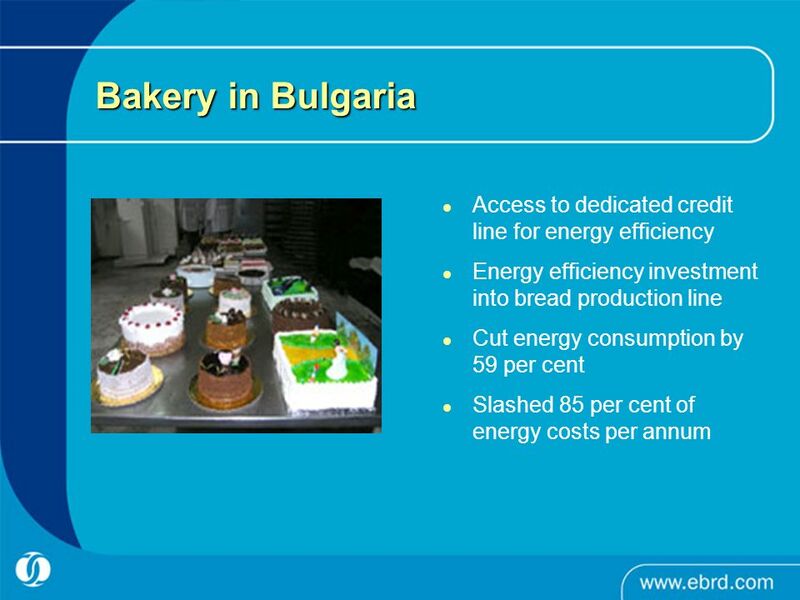 Energy Efficiency in the EBRD’s operations and opportunities for technical cooperation Aleksandar Hadzhiivanov, Energy efficiency specialist Energy Efficiency. 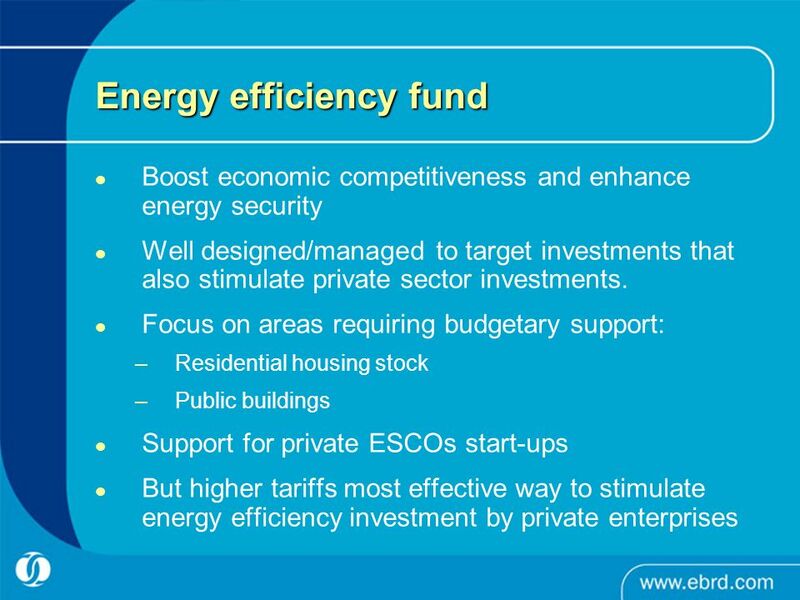 Seppo Silvonen Seppo Silvonen, Motiva Oy Finland Energy auditing as an essential part of the investment process Finnish national and EU energy. 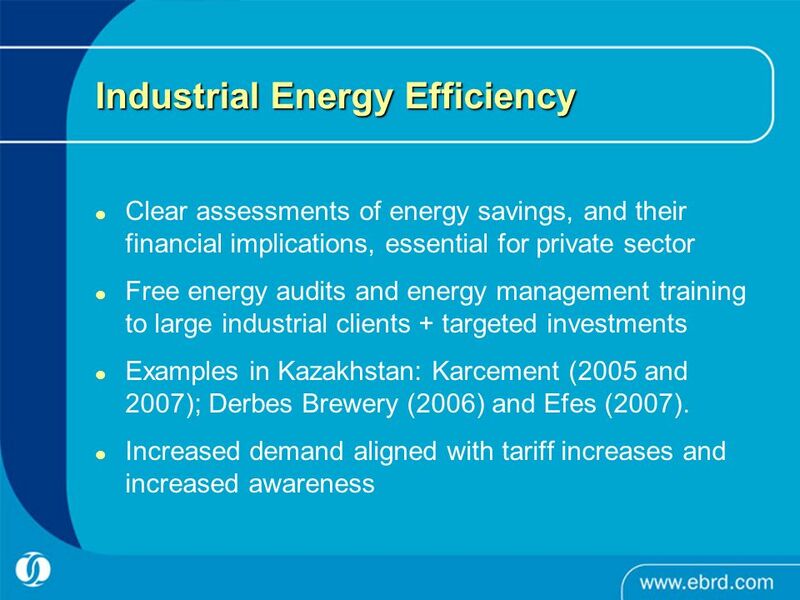 China Thermal Power Efficiency Project WB support to the improvement of coal-fired power generation efficiency in China Jie Tang Energy Specialist East. 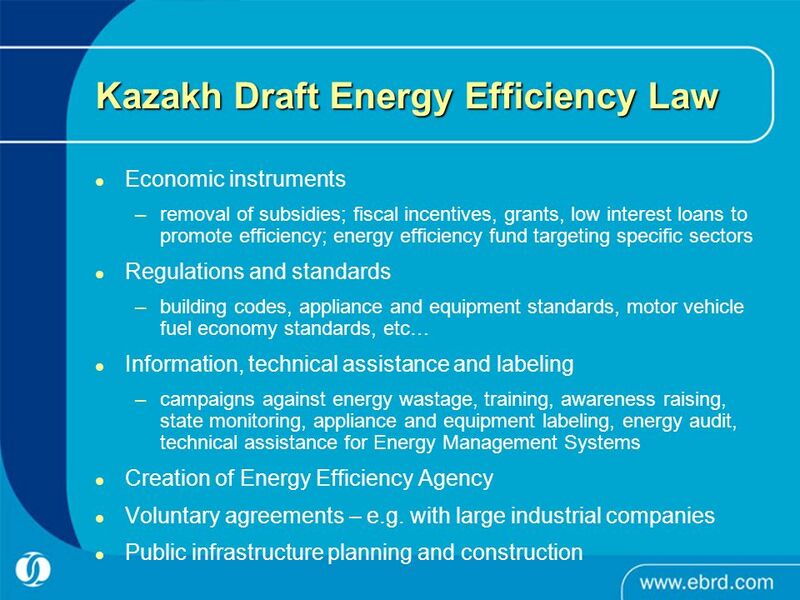 1 DRAFT DO NOT CITE OR QUOTE For NPC Resource Study Discussion Only NPC Demand Task Force – Residential and Commercial Findings & Recommendations January.